The true story of the one of the most thrilling figures of the Wild West. Every army needs its scouts. A good scout knows the enemy and the enemy’s terrain as well as his own, and is resourceful and incisive, cool-headed and courageous. A great scout is irreplaceable. And no greater scout than Frank Grouard has ever served in the US Army. During the Indian Wars in the American West, he was so valuable that General George Crook, considered the greatest of Indian fighters, said he would rather have lost a third of his command than Frank Grouard. Indeed, few lives rival Grouard’s for sheer excitement, danger, and achievement. He claimed to have been born on an island in the South Pacific, the son of a Mormon missionary and his Polynesian wifealthough others said he was part Indian. Among his many admirers was the great warrior Chief Sitting Bull, who saved young Grouard from death, gave him the Sioux name Standing Bear, held him semiprisoner, and raised him to be a Sioux warrior. He hunted with the Sioux, learned their language, and became skilled at reading the land for the presence of enemies. But when the chance came to escape, he took it, landing work as a scout for General Crook shortly thereafter. Grouard once carried urgent dispatches over one hundred miles in less than four hours, an incredible feat on horseback, and was instrumental in setting up negotiations for the final surrender after Wounded Knee. After the wars, he laid out the first all-weather mail route over the Big Horn Mountains, which he accomplished on foot in the dead of winter. 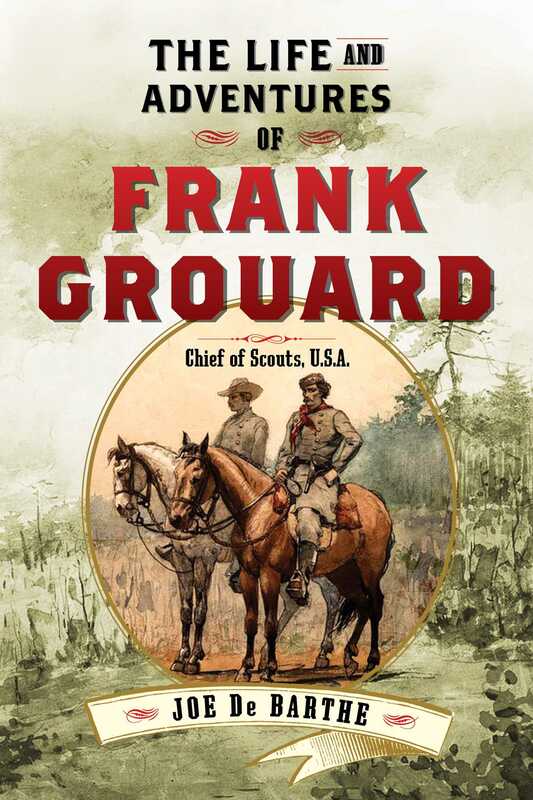 The Life and Adventures of Frank Grouard is the classic firsthand accountdictated to Joe De Barthe, a young journalistof one of the greatest men of the era.